“Justice True [is] my smart, amazing, talented boy who has a very special behavior that he started doing all on his own- pushing me in my wheelchair,” said Michaels. 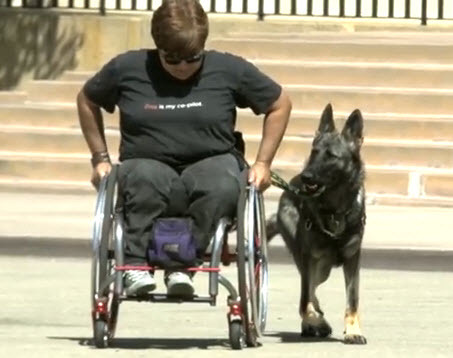 Tamandra Michaels lives in San Diego, Calif., and her best friend is a four-legged dog named Justice True – her service dog. 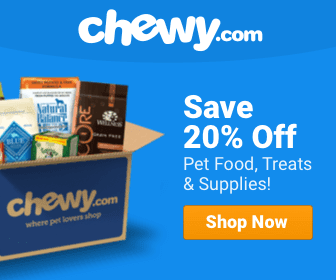 Last year, Michaels’s service dog died, and after some time grieving, Michaels decided to get a new dog. She fell in love with a service puppy from Seattle, Wash., and she traveled 1,200 (air) miles to meet her new best friend. Michaels has been essential in Justice True’s training, and throughout the process the two have bonded very deeply. “All of Justice’s training has been force-free and relationship based,” said Michaels. 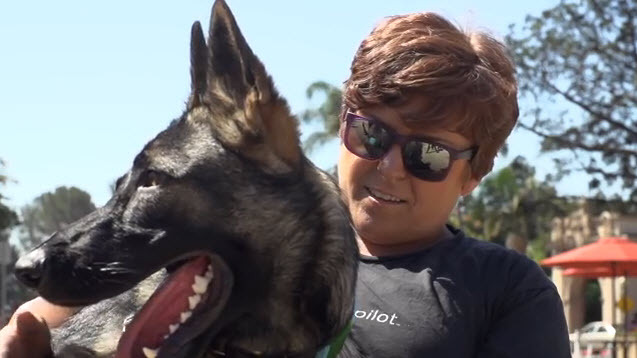 The pair hopes to participate in Schutzhund (IPO), and agility competitions but before this could happen Michaels is in great need of a new wheelchair. “The biggest reason for the need for a new chair is the problem that’s been worsening with the front casters (wheels), where the bearings get frozen up, especially when moisture happens of any sort,” said Michaels. Michaels’s current wheelchair makes competing – let alone training Justice True – a challenge. In order to buy a new wheelchair Michaels needed $6,000. A GoFundMe page was started and Michaels hoped she would collect some funds to help her buy her new chair. What she never imagined was that strangers she had never met would donated more than enough to cover the total cost of the chair. On Dec. 21, 2013, an anonymous donor contributed $5,000. “WOW! I am completely floored and stunned at the generosity of one amazing person! What a wonderful Christmas miracle!! I can’t believe I can already start the process on a new SAFE chair!” posted Michaels. Now Michaels and her service dog, Justice True, can get ready to compete, bond, and train without the limitations her current chair presented her. Learn more about Justice True and his incredible path at becoming Michaels’s assistance dog partner at http://journeywithjustice.com or www.facebook.com/K9JusticeTrue. Good dog Justice True, good dog! What a Wonderful story, especially about all the donors who are so generous. I am glad you have him and sorry of the situation that you are in a wc.